Official statistics have long been at the heart of decision-making in the UK. In 1941, Winston Churchill created what was effectively the post of National Statistician as the head of the new Central Statistical Office at the centre of government. Its function was to create a body of information that would be accepted and used without question by all parties to a decision. The initial focus was on the war effort. After the war, the emphasis was on macro-economic measurement and the development of a well-articulated system of national accounts. From the 1960s it developed into the leadership of the Government Statistical Service (GSS), a professional group with the role to provide statistical insights in support of all parts of government. During this period, social statistics grew to maturity alongside economic data. Into the 1990s, the open government agenda, initially championed by John Major when Prime Minister, saw official statistics as an essential element in democracy, serving government and the wider community. * The 2007 Statistics and Registration Service Act enshrined this broad function to serve the public good in statute. The official statistics system in the UK therefore has a proud tradition, reflecting the root of the word statistics in the idea of the state – the information needed for a state or a community to function well. But the world has moved on again, driven by the digital world we live in and the new sources of data available to us. The challenge now for official statistics is how to adapt to this new reality. The response has been to adopt a strategy that calls for radical change. The role of the GSS is to mobilise the power of data to help make better decisions that improve people’s lives. Those involved in decision-making – governments, businesses and citizens – have ever higher expectations. They need data faster, in more fine-grained forms, targeted at the questions that need answers. The statistical community must organise to meet – or even exceed – those expectations. We have moved from a position of data scarcity to one of data abundance. Statisticians must seek out and use all sources of data to help generate the insights that decision-makers are seeking. There are many people offering data and statistical analysis, and the GSS needs to distinguish itself as offering quality, trustworthiness and value. Its role is to make sure the figures are understood, accepted and used without question in a rapidly changing environment. To do so, it is necessary to develop the demand side (helping policy makers and the public be better equipped to use data) and the supply side (presenting figures in ways that are easy to interpret, through visualisation, for example). The delivery of this strategy needs to reflect the needs of the country. The top priority has been measurement of the economy. Guided by an in-depth review led by Sir Charles Bean, there is a comprehensive work programme to generate better understanding of the modern economy, including through a new Economic Statistics Centre of Excellence. The Economic Statistics Centre of Excellence will provide a source of expertise for the analysis of emerging and future issues needed to better measure the modern economy. The centre will offer the capacity to develop new methods and statistics. This will help us meet the challenge of measuring new forms of economic activity in a globalised world, develop new local, city and regional statistics and help us understand the UK’s productivity performance. The new centre will also support discussion and dialogue around official statistics. On 14 November, the Office for National Statistics (ONS) announced the consortium of leading economic institutions that will form the Economic Statistics Centre of Excellence. A total of eight institutions will come together to create the centre. This includes King’s College London, the LSE (London School of Economics and Political Science), Nesta, NIESR (National Institute of Economic and Social Research), University of Cambridge, Stanford University, Strathclyde Business School, and Warwick Business School. The centre will start work in January 2017. The second priority has been to support public policy, joining up the efforts of statisticians and other analysts across organisational boundaries. There are strengthening levels of engagement between statisticians and both policy and operational colleagues. Alongside this there is a systematic effort to draw in and work with partners outside government who can provide support in serving the public good. Information is being brought together from various sources to develop a better-rounded understanding of complex issues. Examples of this include education, justice and migration. The flagship project for the GSS is a new approach to the Census, which holds the prospect of rich data for small areas being available much closer to real-time. ONS’s Administrative Data Census aims to replicate the range of information collected through the Census using administrative data already held by government, supplemented by surveys. 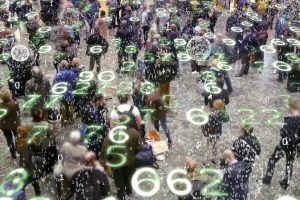 With access to administrative datasets, and if this new approach proves feasible, it would allow census-style outputs at lower cost and more frequently. ONS are publishing annual research outputs and assessments of progress, and plan to benchmark the progress made on the administrative data census against the results from the 2021 Census. This will allow users to assess the quality and completeness of the alternative and will inform decisions about the future of the census. Underpinning all this is investment in data capability across government. This means both much better technology and the development of new skills and techniques. The opening this year of a Data Science Campus at the Office for National Statistics headquarters in Newport is a symbol of this endeavour and heralds substantial benefits to come. The DSC opened its doors in October 2016 in temporary space in the ONS offices in Newport, South Wales. Thirty staff will be in place by the end of 2016/17. In March 2017 the DSC will relocate to its permanent home on site, with capacity for up to 60 staff. 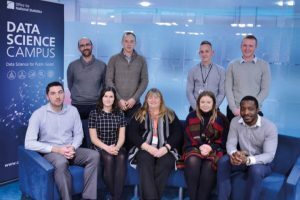 An Apprenticeship in Data Analytics has been launched, with the first group of apprentices starting work at the end of 2016. This two-year vocational training programme is the first of its kind in the UK. The DSC will also support the development of an MSc in Analysis for Government, with a dedicated data science pathway, for a September 2017 launch. The main role of the DSC will be to conduct short data science projects with impact. The current team of seven data scientists has already begun work on the first two projects, with results expected early in 2017. Two years into the strategy for statistics, there is confidence it is making progress but a feeling that we have to raise our ambition higher still. The imperative in the post-EU-referendum environment is even greater (and more urgent) than in 2014. Statisticians (and the wider analysis and insight function) in government have always had a key role to support better decisions across government. Businesses and other organisations that have grasped the potential of data are prospering. The Civil Service is well placed to do so, too. *The Office for National Statistics (ONS) was formed in 1996, merging the Central Statistical Office and the Office of Population Censuses and Surveys. 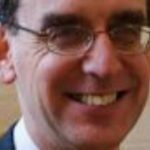 John Pullinger, National Statistician, Head of the Government Statistical Service and Chief Executive of the UK Statistics Authority, also has executive responsibility for the ONS.